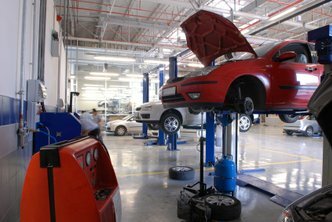 Considering Franchising An Auto Repair Shop in New York ? Auto-Lab can help you build personal wealth through ownership of your own business. We will provide you a brand name, a proven business model template, and hands-on training that minimizes many of the common risk factors associated with opening a new business from scratch. Examples of the operational support provided include marketing and advertising programs, pre-negotiated vendor relationships, site assessment and facility layout, and a sophisticated proprietary business management system. Why Choose Auto-Lab For Your Auto Repair Franchise? Okay, So How Much Does An Auto-Lab Franchise Cost in New York? 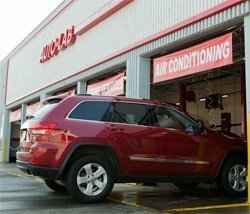 As the industry continued to evolve, the company changed its name from "Auto-Lab Diagnostic and Tune-Up Centers" to "Auto-Lab Complete Car Care Centers". The name change captures our razor focus on complete car repair, while still maintaining a specialty in the most technologically advanced diagnostic services. Third party financing is available and may be used for up to 80% of your start-up cost. Auto-Lab Franchising is an SBA approved franchise which helps you get approved for your loan faster. Opening up a franchise may be easier than you think - if you're interested, request your info today! We make it easy for you to open up a successful auto franchise in New York , so contact us to get started on your new life journey today!